Can I microwave my Chinese leftovers in the container? Can you reheat that leftover Chinese food in the same takeout container from the restaurant? What about plastic wrap? To settle the microwave safety confusion, we turned to the American Chemistry Council. It said that most of today’s plastic containers are designed to withstand microwave temperatures. To be sure that yours is one of them, check the packaging label to see if it says it is "microwave-safe." If it doesn’t say so, it’s best to use a different container. The same goes for plastic wrap. Make sure it’s labeled safe for microwave use. And when it comes to leftovers, take them out of the take-out containers before you re-heat them. 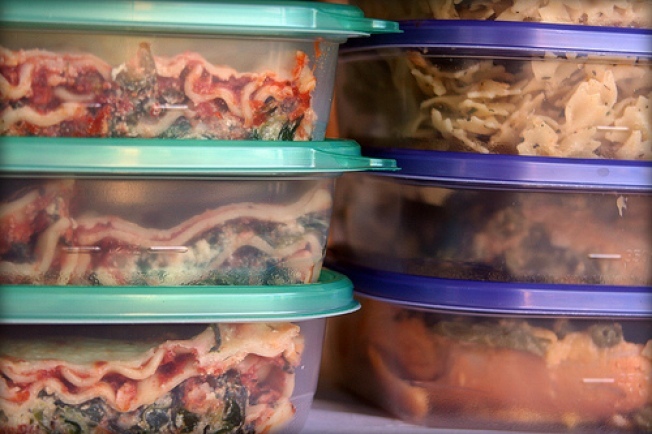 Leftovers and their containers may melt or burn if the containers aren't microwave safe. Better safe than sorry!